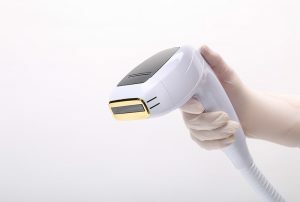 Our Beverly Hills plastic surgeons offer a safe, gentle hair removal procedure with the Diolaze laser by InMode, the leading module on the market for removing unwanted hair. The advantage of Diolaze is a large treatment spot size, which makes treatments even faster and more convenient for you. 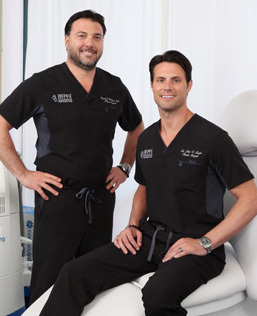 The laser projects a carefully modulated diode laser beam at the targeted hair follicles. The light’s energy is absorbed by color pigment in the hair follicle and converted into heat, disabling the follicle and its ability to regrow. One of our plastic surgeons will determine the recommended number of sessions based on your skin tone, hair color and type, and the targeted body area. Diolaze is safe for most areas of the body, and popular treatment areas include the chin, sideburns, neck, shoulder, arms, chest, back, bikini area, stomach, and legs. After each treatment, you should see a noticeable reduction in hair. * Best results generally occur after four to six sessions, spaced several weeks apart so that the remaining hair can reach the anagen phase for treatment. Avoid waxing or plucking hair follicles between sessions, since the bulb must be present for the treatment to be effective. With easy and effective treatments like Diolaze available, there’s no reason to live with unwanted hair. Schedule a consultation about the benefits of Diolaze, and learn how hair removal can benefit you. There is mild discomfort which can be minimized by numbing medication and the application of chilled air. How many procedures are needed to reach desired results? Depending on the area of the body and the magnitude of hair follicles, anywhere from three to six treatments may be needed. It is important to have these treatments at varied intervals to capture the follicles at different stages of growth. After the procedure, does the skin have to be treated in a special way? We recommend avoiding the sun before and after your treatment and applying the provided soothing lotions. Is there a recovery period needed? There is no recovery period after laser hair removal.